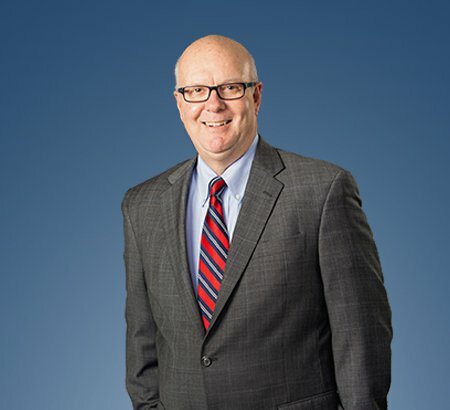 Barry W. Fissel has been a litigator with Eastman & Smith for over 34 years, and since the late 1980s has concentrated on partnership, shareholder and employment disputes, often involving injunctions, covenants not to compete, trade secrets or employee benefits (ERISA). “Top Secret - Safeguarding What Gives Your Company an Edge" is a popular seminar given by Mr. Fissel. He recently has spoken on hot topics related to trade secrets protection and enforcement of non-compete agreements, to the Association of Corporate Counsel, OSBA Corporate Counsel Section, the annual CLE event of the College of Business Administration at Bowling Green State University, University of Toledo Center for Family & Privately-Held Business, Toledo Intellectual Property Law Association and the Toledo Regional Chamber of Commerce. He attended The Ohio State University in the Archie Griffin era, graduating in 1978, and earned his J.D. from The University of Cincinnati College of Law in 1981, where he was an editor of the University of Cincinnati Law Review. Mr. Fissel is licensed in Ohio, is admitted to practice in the Sixth Circuit, and has litigated in federal district courts in Ohio, Michigan and Indiana. His “favorite time of the day” is studying the Bible to be “thoroughly equipped.” (2 Tim. 3:16-17.) He has served churches as an elder, LifeGroup Leader and teacher. Mr. Fissel has been blessed to be married to his high school sweetheart Paulette since 1977, and they are enamored with their first two grandsons born in 2014. Mr. Fissel also enjoys cooking, travel, golf and tennis. Has advised hundreds of clients on successful strategies to avoid litigation. Obtained a three-year injunction in Michigan barring a client’s former operations manager from being employed for any competitor in the client’s industry, based solely on theft of trade secrets, without a non-compete or confidentiality agreement. Won an injunction ordering a board certified allergist to obey his covenant not to practice medicine within 30 miles of a client’s main office or 15 miles of five satellite offices for three years. Achieved a jury verdict for a son who had worked with his father and brothers for 27 years in a family farming business, the jury declaring the client to be a full partner, without any partnership agreement in writing, and without the business filing partnership tax returns. Succeeded in defending many majority owners, partnerships and corporations against shareholder oppression, freeze-out and breach of fiduciary duty claims. Understands the interests of all three sides to a dispute involving a non-compete agreement: enforcing employers, employees who have signed non-compete agreements and their prospective employers. He also has achieved large recoveries in wrongful death and personal injury litigation. Serving in the community is important to Mr. Fissel. He serves on the board of trustees of Maumee Valley Broadcasting (WPOS 102.3) Proclaim FM, and is a member of Cedar Creek Church, the Toledo Bar Association and the Ohio State Bar Association. He maintains memberships in the Intellectual Property Law, Litigation, Labor and Employment Law and Corporate Counsel sections of the state bar. Mr. Fissel holds the highest rating from Martindale Hubbell (AV), and was named among Ohio’s Best Lawyers® by U.S. News for Litigation -- Labor and Employment Law.